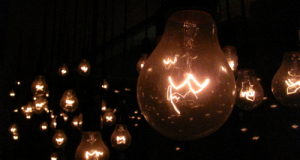 ​Open Innov by Engie: 7 months of innovative initiatives! Launched in November 2014, the Open Innov platform was created to connect innovative players and to facilitate the development of new projects related to the energy transition. Even before its official launch, the platform went through a beta testing at the 2014 Futur en Seine event between June 12th and 15th 2014. Cit’ease, the collaborative tool for city management, was also tested at the event. ICS Toulouse, between September 16th and 19th 2014: at this first edition of the International Innovation and Competitiveness Fair, ENGIE launched its first call for projects on “Integrating renewable energy into the city”. A startup is currently working with the SCLE SFE, Cofely Ineo ENGIE thanks to this call for projects. The Morning Meeting welcomed the Belgian startup Powerdale, which specializes in building recharging stations for electric vehicles, and which was the first startup to benefit from the ENGIE New Ventures investment fund. The Innovation Day was held by ENGIE in Lille on November 6th, 2014. 35 startups were brought together to present their innovative projects to a panel of investors and local decision-makers. The second ENGIE Call for Projects was launched at this event, focusing on projects to transform the Saint Sauveur district of Lille. 14 teams made proposals in response to the call for projects, and 4 of them are still among the finalists in the competition. On November 29th in Nancy, Open Innov participated in the National “Dare to imagine tomorrow’s economy” event. It was an opportunity for startups to meet with ENGIE’s investment fund, New Ventures. OpenInnov was part of the selection committee and one of the partners of the City of Paris’s Innovation Grand Prix on December 2nd, 2014. Worth noting: the winner of the “Innovative business services” category was Redbird, a pioneer and the leader of processing data from civilian drone operations, which a few months later became the fourth company to receive support from the ENGIE New Ventures fund. 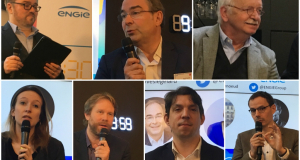 The Innovation Morning Meeting on January 28th 2015 was focused on biogas, and also included the launch of another ENGIE call for projects on the development of smart sensors for methanizers. On March 9th, the launch of the “Better energy for the city” incubator was the result of collaboration between ENGIE and Paris&Co. The incubator will give 5 startups&mdashDatapole, Energiency, Partnering 3.0, Sharette and Smart Impulse&mdashsupport from ENGIE in developing new products and services related to improving energy efficiency in cities. On March 31st, the third edition of the Innovation Morning Meetings welcomed Axelle Lemaire, the Secretary of State for Digital Affairs at the Ministry of the Economy, Industry and Digital Affairs, as well as Gilles Babinet, France’s Digital Champion, who defends the country’s digital economic interests at the European Commission. This Morning Meeting had to do with Digital Energy, and included a number of startups and Group subsidiaries, who were able to present their innovative projects for a large audience (since this Morning Meeting was livestreamed, followed by 290 people and widely discussed in the media). ENGIE was a partner of the Startup of the Year Award 2015 organized by the online magazine Bonjour Idée. With a number of prizes to award, ENGIE’s employees chose between the semi-finalist startups to select the winner of the GDF SUEZ prize. Green Creative was the winner. This startup is developing a smart trash bin for use by local governments and in public places. A call for participants was made for innovative British projects, and should lead to a number of finalists participating in the market place to be held during the Innovation Week in June. The month of April ended with a brilliant and creative event: the first Drone Hackathon, held by OpenInnov. Over the course of three days, more than 200 participants organized in 28 teams tried to come up with responses to the challenges at hand, all of which involved the various uses for civilian drones. The spirit of fun and intense coding typical of this kind of event led to many high quality projects. OpenInnov also participate in a number of events in France and abroad, including CleanTech San Francisco, Capital Risque in Montpellier, BA06 in Nice, the Research and Enterprise Forum in Reims, Tech Meeting Paris, EcoBoost, etc. All of the events involved startups pitching for local deciders and investors. A number of other calls for projects are going to be launched before the summer. To learn about when and where they will be launched, sign up for the “Call for Projects” newsletter in OpenInnov.